Dear Father John, I understand that demons hate God, but they also suffer from being separated from Him. Is it possible that a demon could repent, and accept God as we can? 392 Scripture speaks of a sin of these angels. This “fall” consists in the free choice of these created spirits, who radically and irrevocably rejected God and his reign. We find a reflection of that rebellion in the tempter’s words to our first parents: “You will be like God.” The devil “has sinned from the beginning”; he is “a liar and the father of lies”. 414 Satan or the devil and the other demons are fallen angels who have freely refused to serve God and his plan. Their choice against God is definitive. They try to associate man in their revolt against God. As you can see, the Church clearly teaches that fallen angels, demons, are definitively separated from God; they cannot repent from their sin, as we can. Why is this? It has to do with their spiritual nature. In our human nature, our intelligence and will (the spiritual powers of our soul) operate through the mediations of our senses and our emotions, of time and space, of the material universe. Those limitations create room, so to speak, for us to change our minds. We often make decisions without having full knowledge or awareness of all the factors involved, and without having full freedom from emotional biases. This is not the case with angels. They are pure spirits. They are not limited by time and space, by material mediations, as we are. And so, an angel’s rebellion against God is definitive, a clear and unequivocal rejection of God’s sovereignty and goodness. There is no going back from that decision, and they would never want to go back from it. It’s hard to grasp this difference between us and the angels. 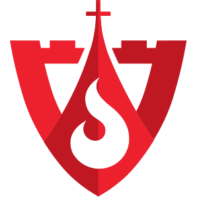 Let’s pray for an increase of the Holy Spirit’s gifts of knowledge and understanding, so we can better perceive and appreciate these truths of our faith. 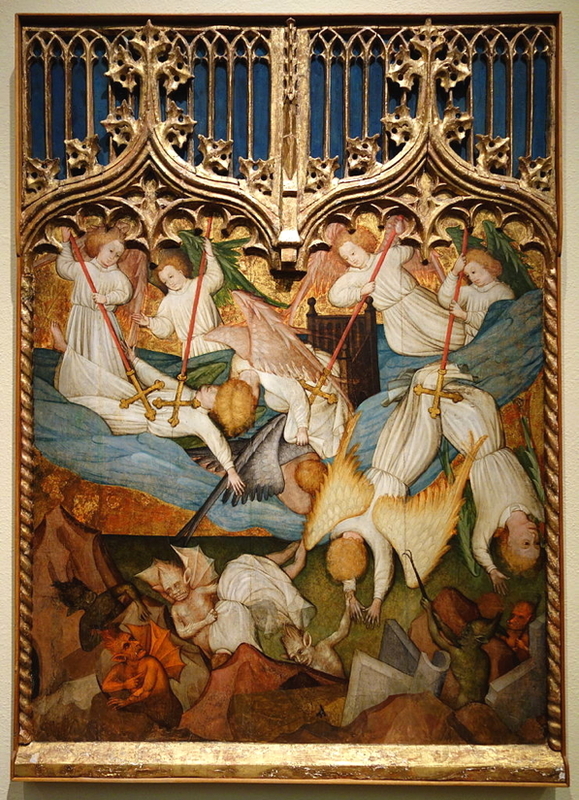 Art: The Fall of the Angels, Nicolás Francés, c. 1440, CC0-1.0 Universal Public Domain, Wikimedia Commons.